With accumulated experience and know-how, and through our close relationships with various airliners, we safely and effectively deliver clothing, marine products, agricultural products, optical product and crafts in the shortest amount of time to the final destinations. The moment you rely on Blue Ocean Agency’s services with your valuable products, our meticulous management systems will be applied, safely and quickly to your desired destination. Due to greater amount of imports over exports, there exists significant product imbalance with inbound and outbound channels. Not only that, because of frequent delays of feeder vessels, challenges exist in connecting to main cargo vessels. Tedious customs process also poses as hurdles to jump over. We strive to meet our customers’ deadlines as we consider the best possible transport methods in advance. 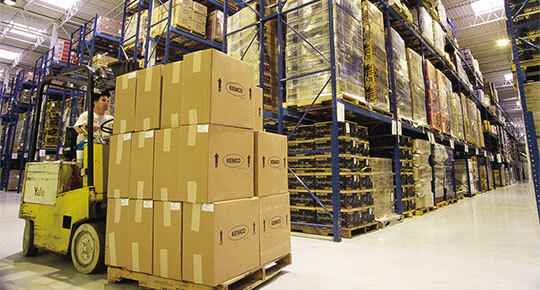 We promise a safe storage of your valuable products. If necessary, we can sort, package, deliver, etc. and meet the specific needs you may have regarding storage. Wherever in Myanmar, we provide timely delivery of your products from minimal in size to containers, or project-related. Necessary human resources and equipments for loading and unloading of products, such as forklifts, cranes, low-bed trucks and vibration-free vehicles will be present to provide impeccable land transportation services. In order to provide the most economic and effective services in the shortest amount of time, we will combine various modes of transport to deliver your valuable products to your work locations. No matter where it is around the world, we will take care of pick up, packing, customs, etc. to quickly deliver your products to your destination of choice.